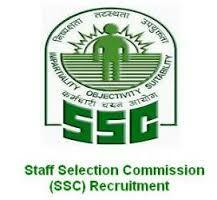 Staff Selection Commission is giving excellent chance to join Delhi Police as a Constable Executive post. The selection will be through computer based written examination. The Staff Selection Commission (SSC) is going to organize Computer based written examination for the Recruitment of following temporary Constables (Executive) - Male and Female in Delhi Police 2016 on 04/03/2017. Candidates has to pay Rs.100/- online through SBI online payment / Net-Banking/ Credit/ Debit cards for online application(No fee is chargeable by women/SC/ST/PH and Ex-Servicemen). Candidates are suggested to apply Online at http://ssconline.nic.in prior to 10/10/2016.